Newcastle's own Push-bike festival will celebrate bike culture with many diverse activities this October long weekend. As well as the usual Newcastle bike culture events on every week, all year round, more events have been organised for bike lovers! Location: Newcastle Bike-Ecology Centre. Time: from 9am to 12pm and 4pm to 6pm. The Bike Love Fest Events Bike Library is for bike lovers who need to borrow a bike to join in the Bike Love Fest activities. We want you to look after the bike you borrow and join in the Bike Love Fest events, so a "deposit" applies. To get your "deposit" back you need to return the bike in no worse condition than when you borrowed it plus you can collect special Bike Love Tokens distributed at the Bike Love Events. The more Bike Love Fest Events you attend the more Bike Love Tokens you will collect and the less you pay - attend enough events then it's FREE! Bike deposit starts at $100 and is fully refunded if you attend 5 or more Bike Love Fest Events. If you attend less than 5 then $10 will be deducted for each missed event. You get at least $50 of your deposit returned if you return the bike in no worse condition than when you borrowed it and attend no events. If you look after the bike and join in the bike fun - then it’s effectively FREE! A similar deposit applies if you are fixing up a bike to have during the festival (this is to minimise the dumping of bikes around the CBD of Newcastle which has happened in previous years). Meet at Adamstown end of Fernleigh Track at 2pm. It's an opportunity to go for a quick ride out of the traffic. Expect speeds about 30km/hour, and doing so the ride should take about 50 minutes. This is only for cyclists who can keep that pace, because waiting for slow riders defeats the purpose of a training ride. following the Critical Mass Bike Ride at local eatery 8pm. Bring your bike, lights, lock & money. • EVENT : Saturday Morning: "Saturday Social Saunter"
Newcastle Cycleways Movement Inc. ride Distance: ~ one hour; Average speed 15-20kph. Starts at 8am from Stewart Ave Railway Crossing, Newcastle West. Easy ride, suitable for beginners/new members. An excellent opportunity to start/get back to cycling and meet some new people. WNBR is a global naked or clothed legal bike protest ride. This is a semi-naked promotional ride, so wear at least minimums: Ride starts at Location: Newcastle Bike-Ecology Centre. Time: 3pm. Ride speed will be as fast as the slowest person. Body painting & bike decorating from 2pm to 3pm. Bring swimmers and towel. Following the Promotional Ride for World Naked Bike Ride, riders will be taken to the beach to wash the body paint off then on to a local eatery for a group meal. Bring lights, some money and a bike lock. Starts at Location: Newcastle Bike-Ecology Centre. Time: 11am. (Remember daylight saving!) Visit the best beaches in the world, by bike. Ride speed will be as fast as the slowest person. Bring as much home-made baked goods as you can to share around at the end of the ride. You can also bring a picnic lunch or similar. Meet at Centennial Park, Tooke St, Cooks Hill at 1:30pm From 2pm to 3pm the games will be on. The Newcastle Gentlemen's Bike Polo Club will bring their equipment. Bring your own too if you desire. Location: Croatian Wickham Sports Club, Wickham Park, Albert St Wickham. Time: 7pm. The premises are licensed and all ages. Please show your appreciation for the use of the Croation Club for our film night by purchasing beverages at the bar! Featuring local and global films and documentaries. Bring some money, a bike lock and lights for the trip home. A family friendly bike ride for the public holiday. Meet on the Western side of Cowper St bridge (Carrington Bridge), Wickham. Ride the shared pedestrian cycleway to Nobbys beach crossing no main roads. Join in games, or teach us some new ones. Slow races, tips and more! • EVENT : Share the Love! Do you have an idea for a bike cultural event / fun bike activity? Add your event idea to the Bike Love Fest notice board at Bike Love Fest Events Bike Library (at Newcastle Bike-Ecology Centre) with adequate notice and see other bike lovers join in with you. It could be a ride, a game, a costume parade, a debate - anything as long as bikes, cycling and having fun with other cyclists is integral. Critical Mass Global Ride Celebrating Cycling. Assert our right to ride on roads and not in the car door death lane. 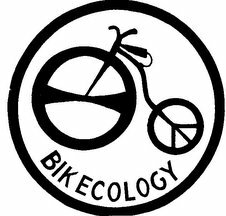 Newcastle Bike Ecology Centre Community volunteer bike help concept offering free bikes / help all year round Fri / Sat Sustainable Bike Culture hub of Newcastle. Newcastle Cycleways Movement Inc. Work with Government bodies to improve bicycle facilities & promote the safe responsible use of bicycles for transport, leisure & fitness.